On Monday, February 26, 2018, at approximately 6:10 a.m., the Yuma County Sheriff’s Office received a report of a single vehicle collision on Highway 80 at approximately 41½ E in Tacna, AZ. 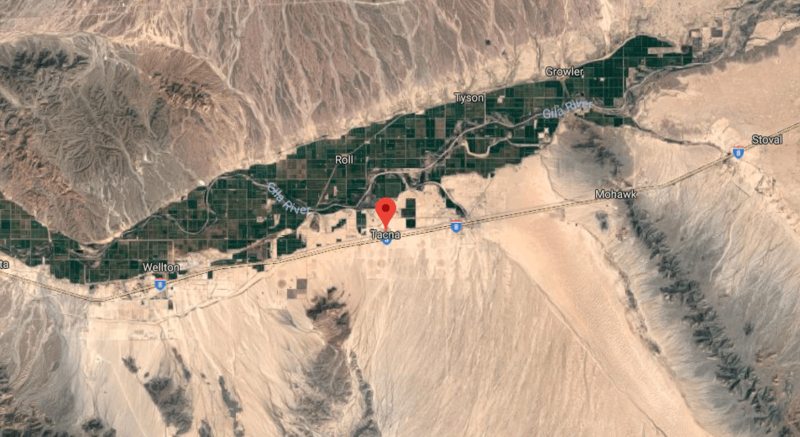 The initial investigation revealed that a tan 2006 Kia Sorento was westbound on Highway 80 when the driver went off of the right (north) side of the roadway. The driver steered back to the left before over-correcting to the right, leaving the north side of the roadway. The vehicle then impacted a dirt berm and rolled at least two times. The driver, identified as Maria Yanez, 47, of Roll, AZ, was ejected from the vehicle. She was pronounced deceased at the scene. Next of kin notification has been made. The cause of the incident is still under investigation; however, alcohol does not appear to be a contributing factor in the collision. Anyone with information regarding this case, please contact the Yuma County Sheriff’s Office at 928-783-4427 or 78-CRIME to remain anonymous. You can also visit our website at www.yumacountysheriff.org to submit an anonymous tip.